Brent is a partner based in Wiedner & McAuliffe’s St. Louis office. His practice focuses on the aggressive defense of employers in all types of civil litigation matters. Throughout his career, Brent has handled a myriad of matters ranging from employee auto accidents, trucking accidents, construction defects, medical malpractice claims, and slip and falls to customer injuries on premises and insurance analysis. Working with local businesses, insurance companies and third party administrators, Brent’s experience covers a multitude of industries including transportation, construction, healthcare and manufacturing. Brent is very comfortable in the courtroom, having successfully first-chaired more than twenty jury trials in Missouri and Illinois. He also understands the importance of listening to his clients and exploring all avenues of settlement options. Brent uses a creative approach to conflict resolution, with a keen eye towards the most favorable outcome for his clients’ business interests. 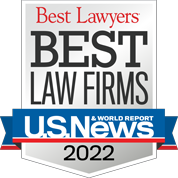 Brent has been recognized as a Super Lawyers Rising Star since 2014. He is active in his local government, specifically involved in community development initiatives. When not advocating for his clients, Brent is devoted to his family and enjoys a good golf game. He also actively supports East Side Heart and Home Family Center and Operation Food Search.